Some people, automotive journalists included, just don’t get the Nissan GT-R. This article is a perfect example of someone that just doesn’t get it. 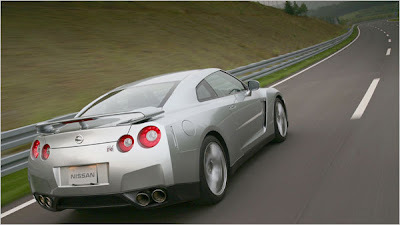 The Nissan GT-R is a performance model. A GT car more biased towards performance than comfort. Its even a tough car for much of the public, coming from a Lexus, Mercedes, or BMW to understand. Hard ride, loud brakes, loud transmission. Its just one of those tough things Nissan had to face when making this car. Make it soft to please a good portion of the people that might “want” the car. Or tune it hard, for better performance. They made some compromises, and they even had to give up some of the luxuries to make the US price points. Seriously. The floor mats are an option on an $83,320 car, one of several brain fades - no memory for seats and mirrors? - that make me wonder how well Nissan understands the mind-set of BMW, Corvette and Porsche owners. It also lags other super coupes' fuel economy. The EPA rated the GTR at 16 mpg in the city and 21 mpg on the highway. The 505-horsepower Corvette ZO6 scored 15 city/24 highway, while the 385-horsepower all-wheel drive 911 Carrera 4 S notched an outstanding 18 city/26 highway. The price comparison may be the Z06 and the 911 Carrera 4S, but the performance point is the ZR1 and the 911 TT. Yeah, but who is this guy that wrote the article - a nobody, that's who. Plus he's from Michigan which perhaps makes him a little sensitive to Japanese cars. So even commenting about his uninformed opinion is almost a waste of time. There are always people who criticizes the design intent of everything. Example, a GTR is too loud, ride too stiff. A Lexus is too quiet, ride too soft. A couch is too boring, a roller coaster is too exciting. Guess what, that's what they are designed to do!